How About a 3-Month Cruise Around the World? Cruise News MSC Cruises How About a 3-Month Cruise Around the World? MSC Cruises has detailed another world cruise which will be a three-month itinerary to bucket-list destinations. The cruise line has announced details on a second around the world cruise which will last for three months with the MSC Magnifica cruise ship. The 116-night voyage will some stunning destinations including Peru, Papua New Guinea, Bali and India. 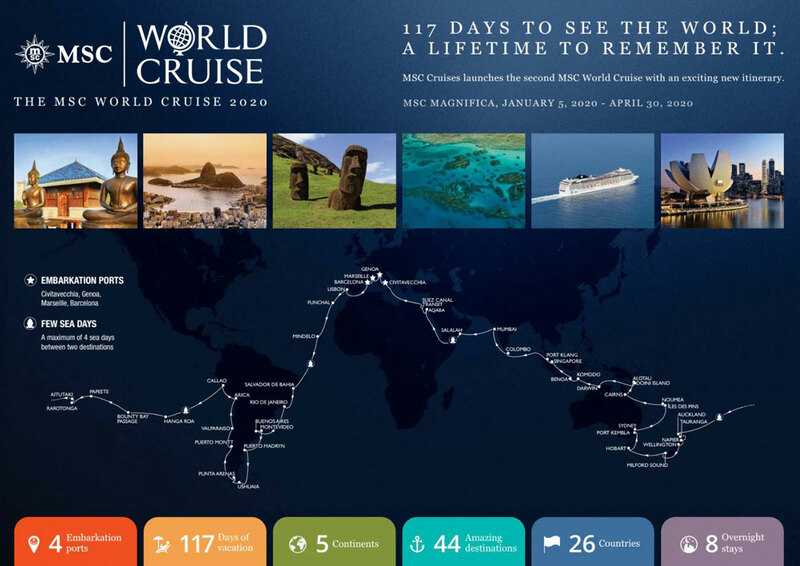 The cruise will set off on its epic bucket-list journey in 2020. Bookings for the second world voyage are now open exclusively for MSC Voyagers Club members and it includes more than 40 ports of call in 23 countries. There no doubt be destinations for any type of cruiser and the experience gained from so many different cultures will be something to remember for life. 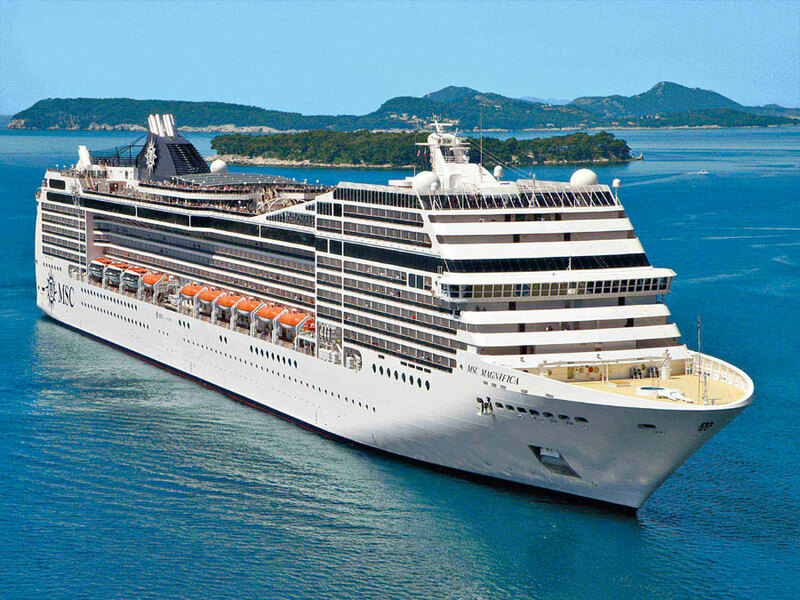 The first opportunity to embark on the MSC Magnifica will be on January 4th, 2020. Cruisers will be able to enjoy the ship one day early before the first official departure day of January 5th from Genoa begins. Guests can begin their world cruise from Civitavecchia/Rome on Jan 4th, Genoa on Jan 5th, Marseille on Jan 6th and Barcelona on Jan 7th. Bookings for non-MSC Voyagers Club members will be open a month later. MSC Magnifica is also sailing the first world cruise which is departing in January 2019.